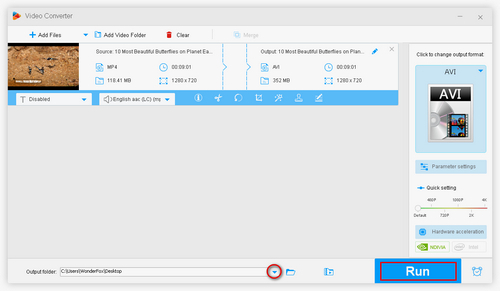 It’s quite easy to download and convert YouTube to AVI, and this article introduces two super-easy and effective methods to do it. 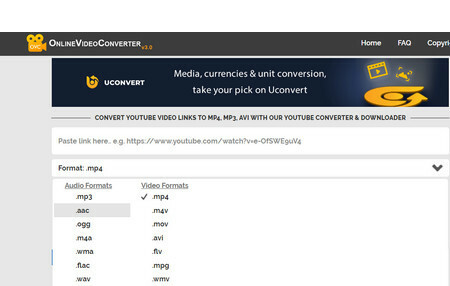 Meanwhile, the highly recommended video converter – Free HD Video Converter Factory can help you to download and convert videos from YouTube and other 300+ websites to all common video file formats. Install it here and save videos online effortlessly. Many YouTube downloaders give you a variety of choices of video formats. And AVI is one of the common ones. 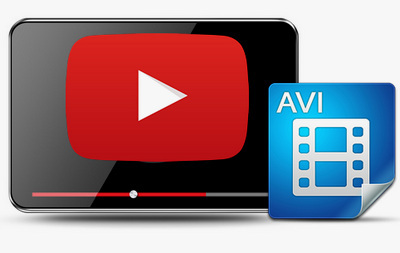 Since AVI was developed by Microsoft and is perfectly compatible with PCs, if you want to download YouTube videos for playing or editing them on your PC, you can choose to convert YouTube to AVI. Now follow this tutorial to do the conversion step-by-step. WonderFox Free HD Video Converter Factory can download and convert videos from YouTube, Vimeo, Facebook and other 300+ sites to AVI, MP4, MOV, WMV, MKV, 3GP, WebM, MP3, FLAC, etc. It’s completely free, clean and reliable. 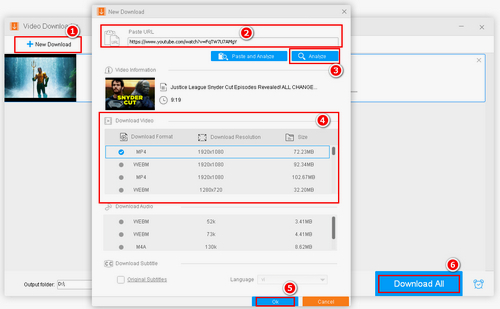 Compared with online video converters, desktop YouTube downloader is more stable without the limits of variable network connectivity and server. WonderFox Free HD Video Converter Factory is an excellent video downloader software that enables you to not only download videos from YouTube, but also download Vimeo videos, convert Facebook videos and so forth. 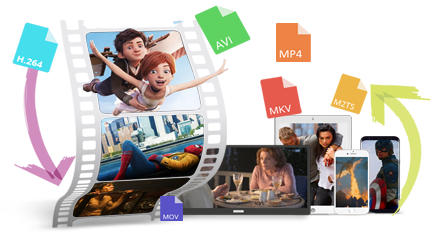 You can easily download 720P/1080P/4k/8k videos from websites for HD visual enjoyment. It only needs simple steps to convert YouTube videos to AVI as follows. WonderFox does not advocate downloading copyright content for commercial purpose and other illegal intentions. Before you convert YouTube videos, you’d better check whether it’s legal to download YouTube videos. Before start, please free downloadfree download the video downloader and install it on PC. Run the YouTube to AVI converter. Click on the “Download Video” button, and you will see the Add New Download dialog. Copy the URL of the video you want to download and paste it into the Add URL box. Then, click on the “Analyze” button and the URL will be detected and analyzed soon. Finally, click on the “Download” button to save the YouTube video. The video will be automatically added to the software. Tips. If you want to download YouTube playlists, just copy the playlist URL and repeat the operation above. Click on the Output Format button on the right, and choose AVI under the Video tab. Besides, you can convert YouTube to MOV, YouTube to WMV, and other video formats. If you want to extract audio from YouTube video, just go to Audio tab to convert YouTube to MP3. Click on the yellow Folder icon to specify the output path. After all the changes, click on Run to start the process. Tips. The software has built-in video editor enabling to crop, clip, merge, add special effects and subtitles to videos. The ways to convert YouTube videos with the sites above are similar. Just copy and paste the YouTube video link, wait for URL analysis and download YouTube videos AVI files. The only difference is that Onlinevideoconverter needs you to select .avi from the Format drop-down list. Now you can choose the one you prefer to convert YouTube to AVI. Slow conversion speed is a common problem of online converters. If you want to download YouTube movies and other large videos files, the desktop software – WonderFox Free HD Video Converter Factory is more recommended for it's stable and supports hardware acceleration for faster conversion speed. As the advanced version of Free HD Video Converter Factory, this software supports batch conversion mode to save much time, and more formats and codecs are available. Besides, the versatile software enables to compress video files in one click while keeping a perfect balance between video quality and file size.